Today, we say welcome to Robert Deburgh. Robert, thanks for joining us here today. Tell us a little about yourself. I was born in northern New Jersey and grew up between Jersey in the winter and Bennington Vermont in the summer. 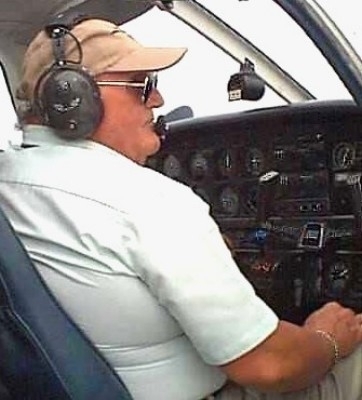 I learned to fly at the age of fifteen and by seventeen had my private pilot’s license. I continued with aviation and obtained my commercial and flight instructor’s ratings when I was eighteen. In my teens my main interests were aviation, motorcycles, hot rods, and of course, girls. I retired from commercial aviation seven years ago due to a minor heart condition and have been writing ever since. I also restore, ride and sell vintage motorcycles. My favorite color is blue, favorite movie is “Casablanca,” Favorite book is “Wind, Sand, and Stars” by Antoine de St. Exupery. My favorite actress is Lauren Bacall and actor is Humphrey Bogart. As you can see I’m a fan of old movies, especially of the “Film Noir” genre. I began writing in high school doing articles for the school paper. In my senior year my English teacher convinced me to submit several articles to a local newspaper that accepted my work. I’m afraid, at that point, the writing bug had bitten me and I went on to write a sports car column for the same paper and an aviation column for another. I also took up motorcycle roadracing at that time and became associate editor for American Roadracing Magazine. What is your usual genre? I usually write my novels in the Historical Fiction/Romance genres but have several works in progress that will jump genres. One is, “Blossoms in the Snow,” a book of poetry, and “Stairway to the Gods,” an adventure/mystery set in Old Kingdom Egypt. What’s your process? SOP or are you a well-devised outliner? It’s sort of a step-by-step process. I start with a general idea for a book, do a rough outline and then do the research needed. At that point, I can begin to write. I find that the story soon begins to tell itself. At times I will stop writing on it for a month, keeping the story in my mind. When I return to writing, the story begins to flow again, sometimes in a far different direction than I had planned. This was true of “Winds of Fate,” book two in the “Riders of the Wind” series where the last few chapters took me to an entirely different ending than I had envisioned. Antoine de St. Exupery, Ernest Hemingway, Richard Bach, Earnest K. Gann, Ken Follett, and many others. My favorite work is “Riders of the Wind.” The book describes what I think is accurate of the psychology, lifestyles, dress, language and history of the 1920s-1930s. This novel is the first of the series and forms the basis for the other two. My main characters, Charlie Cross and Doretta Morrow Cross are based on my aunt and uncle, Charles A. Cross and Doretta Morrow. Alvin Burton is based on my father, Alvin Burroughs and the supporting characters are based on real people or persons who were cross-sections of people living in that era. One of the nicest compliments I’ve had on “Riders of the Wind” came from a fellow pilot who was one of the first to read it. Her statement was; “Bob, you are Charlie.” I’m glad I could make my characters that real. Hands down, my best experience as a writer came when I first held the paperback copy of “Riders of the Wind” in my hands. I couldn’t wait to sit down and read it. My worst experience was to get involved with a literary agent who was dishonest and took me and many other authors for quite a bit of money. Oh, boy! Sounds like a nightmare. What was the best/worst writing advice you ever got? The best advice came from my high school English teacher who advised me to submit some of my articles and short stories to the newspaper. I should have seen that one coming! (Laughing here.) What is your most recent project? 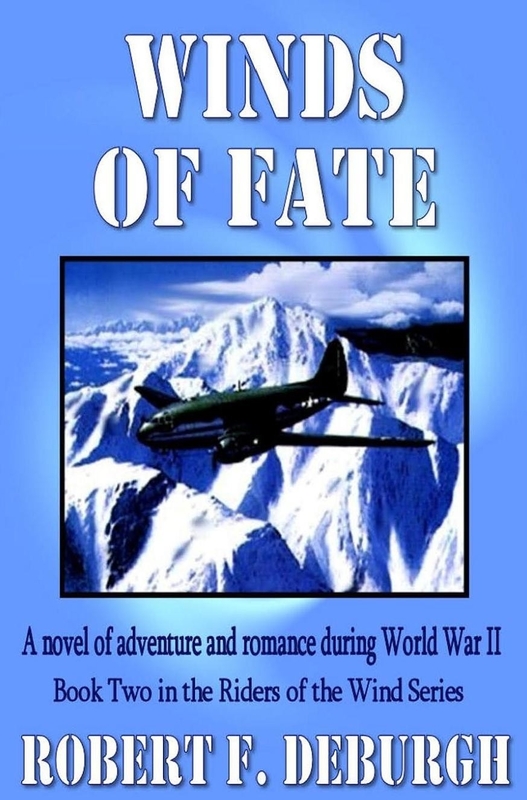 My latest work is “Winds of Fate,” which follows all the characters of “Riders of the Wind” through the WWII era. Charlie Cross to India and the deadly Hump operation and Doretta to the Women Airforce Service Pilots (WASP). Coming soon is “The Winds of Kunlun Shan,” book three of the series. Tell us where we can purchase your work. I try to write honestly and without the philosophical wanderings of some writers or the sometimes brutality of others. Though there are some brutal scenes in “Winds of Fate,” they serve a purpose, that is, to tell the reader exactly how it was. I already mentioned my hobby of motorcycle GP racing, what my readers don’t know is that in 1982 I finally gained my championship with Western, Eastern Roadracing Association in 250 Superbike class. There will probably be a book on this as well someday. Where can we go to learn more about you and your work? Robert, thank you for taking time to visit with us today.